Flashcards are great learning tools students can use to enhance their study skills and make better grades. They are especially helpful for memorization and note taking. The apps we have curated for you today are among the top applications in the category of flashcards. Students can use them on their iPads to easily create digital flashcards that can contain both textual features as well as images. They also provide a huge library of pre-made flashcards to help students study different subjects. 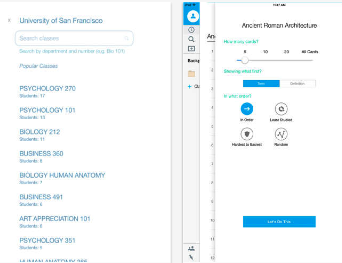 Some of these apps support offline browsing allowing students to access their flashcards even when there is no Internet connection. This is definitely one of the best flashcard apps out there. Quizlet allows you to create your own set of flashcards or use its built-in library to access thousands of flashcards created by other users. These flashcards cover different subjects including language arts, vocabulary, biology, chemistry and many more. 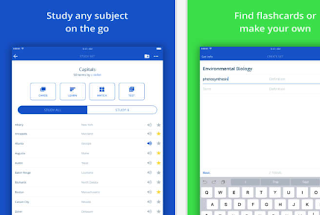 This is another excellent app to help students with their studying. As is the case with Quizlet, StudyBlue allows users to either create their own digital flashcards or choose from millions of pre-made flashcards in its library. Students can take notes on the go, add images and audio to their notes and access them anywhere even with no Internet connection using the offline mode. Additionally, StudyBlue enables students to track their learning progress, quiz themselves, set study reminders and study collaboratively. Flashcards+ is particularly ideal for high school and college students. It provides them with the required tools to instantly create rich flashcards for a variety of school subjects. The app supports images so students can visually illustrate their notes. 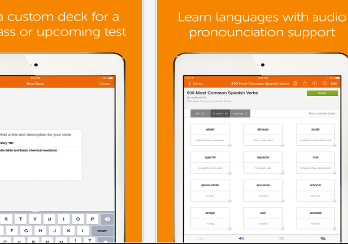 Flashcards can be created in more than 20 languages together with pronunciation support. Flashcards+ is also available for Apple Watch. This is the official app of the popular flashcard making web tool. 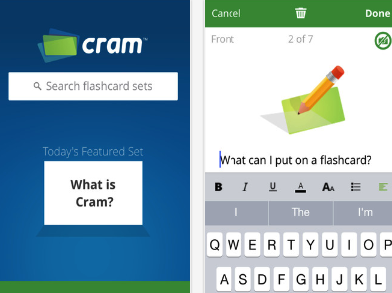 If you have an account with Cram, you will be able to access all of your flashcards right on your iPad or iPhone. It also provides you access to millions of flashcards created on Cram. You don’t need Internet connection to access the app, it works offline and offers four major study modes: card mode, memorize mode, Cram mode and Game mode.